Soloviev (English Wikipedia entry | Russian), a Narodnik revolutionary, was one of the less competent assassins to have a go at Tsar Alexander II. Surprising the undefended sovereign on the latter’s morning constitutional near Winter Palace, Soloviev couldn’t connect with his revolver from four meters’ distance. As Alexander fled, Soloviev gave chase, firing four more times in the process to no effect before the gathering crowd wrestled him to the cobblestones. Soloviev admitted the crime — the admission was hardly necessary — and hanged before a crowd of 70,000 souls. Despite the ensuing police crackdown on subversives (resulting in still more executions), many of those 70,000 surely numbered among the gawkers two years later for the hanging of the Narodnaya Volya terrorists who at last successfully assassinated Alexander. * May 28 was the local (Julian calendar) date for the execution; by the Gregorian calendar prevailing outside Russia, it was June 9. 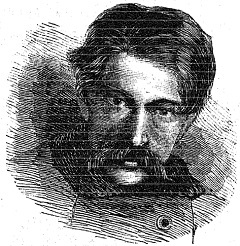 On this date in 1882* Stepan Khalturin** was hanged in Odessa, Ukraine … but not for his most (in)famous crime. 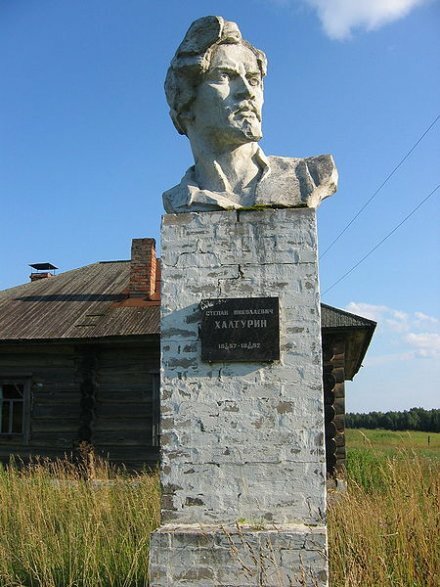 Khalturin (English Wikipedia entry | Russian) came from a well-off peasant family near the city of Vyatka (today, Kirov; it was renamed for an assassinated Bolshevik). 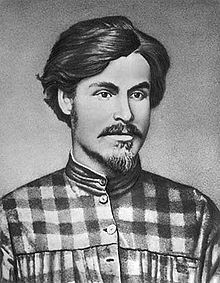 As a young carpenter in 1870s St. Petersburg, he fell in with revolutionary circles and became a distinguished propagandist and organizer. Khalturin helped found the first political labor labor organization in Russia, the “Northern Russian Workers’ Union”. If that used to be his sentiment, Khalturin’s thinking … evolved. By February 1880, Khalturin was for all intents and purposes in on the terrorism strategy. He took advantage of a workman’s gig at the Winter Palace to pack the cellar full of dynamite,† two floors below the imperial dining room. But Tsar Alexander II and party had not yet returned when it blew. Eleven people, mostly guardsmen in the intervening room below the dining hall, died in the blast; dozens of others were injured. The tsar, at any rate, was running out of luck. A year later, Narodnaya Volya finally succeeded in assassinating Alexander II in St. Petersburg. Zhelyabov and five others hanged for that. Khalturin wasn’t involved in that plot: he had escaped to Odessa. There, he shot a police officer named Strelnikov. He was captured and hanged under a bogus alias, nobody realizing that they were also executing the mysterious Winter Palace bomber. Unusually considering Lenin’s distaste for terrorism and Narodnaya Volya, Khalturin was elevated in post-Soviet times into an officially-approved revolutionary exemplar. The street Millionnaya running to the Winter Palace in St. Petersburg was cheekily renamed for him (it’s subsequently been changed back). Public monuments went up for the bomber, especially in the environs of his native soil around Kirov. * April 3 by the Gregorian calendar; March 22 by the Julian calendar still in use in 19th century Russia. † He was able to manage the feat by bringing in explosives little by little and secreting them in the room where he bunked on-site. On this date in 1866 (September 3 O.S. ; September 15 N.S. 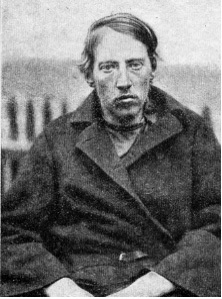 ), Russian revolutionary Dmitry Karakozov was hanged in Peter and Paul Fortress for attempting to assassinate Tsar Alexander II. Karakozov was a son of noble stock — the self-hating variety, obviously, and suicidally disturbed into the bargain. He supposedly hailed from a terrorism cell branding itself “Hell”, although this was bandied about by the police afterwards and conveniently supported a hunt for radicals. Karakozov, at least, considered the state of tsarist Russia positively infernal, and on April 4, 1866, he went to scourge it — firing a shot at the monarch at St. Petersburg’s Summer Garden. He missed. The tsar’s guards tackled him as he fled, and the unharmed Alexander walked up to the gunman and asked him, “What do you want?” He may have been genuinely bewildered: Alexander was the guy trying to liberalize Russia. Just a few years before, he had freed the serfs. If I accomplish this deed, I will die with the thought that in death I did something good for my dear friend, the Russian peasant. If I do not accomplish it, then others will follow my path. Where I fail, they will succeed, and my death will be their example and inspiration. Others would follow him, and in time successfully murder Alexander II after all. What certainly did happen — more immediately than those copycat assassinations — was a reactionary wave of national chauvinism, whose more wretched manifestations will not be unfamiliar to the present day. The patriotic Glinka opera Ivan Susanin was staged a few days later at the Bolshoi in Moscow. According to an eyewitness account of Tchaikovsky quoted in Romanov Riches: Russian Writers and Artists Under the Tsars, this salute to a Russian peasant’s sacrifice for the Romanov dynasty went a little bit off-script. … the actor playing him started fighting the chorus members who played Poles, and being very strong, knocked down several of them, while the rest of the extras, seeing that the audience approved this mockery of art, truth, and decency, fell down, and the triumphant Susanin left unharmed, brandishing his arms, to the deafening applause of the Muscovites. If true, that is little short of fantastic. The apparatus of state went so far as to build up a new Susanin for the occasion at hand, hyping a questionable story that a young peasant named Osip Komissarov — who was from Susanin’s own province of Kostroma — had jostled Karakozov just as he took the shot, causing it to go awry. The good-natured bumpkin was rewarded with summary ennoblement as “Komissarov-Kostromskoy” and eye-rollingly terrible poetic tributes from the likes of Vyazemsky and Nekrasov. However, Komissarov’s embarrassing stupidity and want of manners would eventually necessitate Komissarov-Kostromskoy’s being packed out of polite society to country estates on a generous pension to bankroll his ample appetite for liquor. So Dmitry Karakozov did do something for the Russian peasant after all. On this date in 1861,* a peasant rebel was shot for demanding a little too much emancipation. The scene is a village — aptly named Bezdna, which is Russian for abyss — in the Kazan Province, and the time is the critical reign of tsar Alexander II. This reformer, who ascended the throne in 1855, saw his historic task as modernizing and liberalizing Europe’s most backward great power (fresh off a salutary clock-cleaning at British hands in the Crimean War). Ultimately, he wouldn’t advance Russia’s feudal despotism far enough, fast enough before revolutionaries murdered him, and his descendants suffered the consequences. Here in 1861, all that bloodshed remains many years to the future, and a young Alexander is reordering Russia with the landmark emancipation of the serfs. But, you didn’t really think the power and property interests that nobles held in their serfs were just going to be thrown over willy-nilly, did you? Quite the contrary. Emancipated serfs got small plots of land** along with obligations to pay off their lords, restrictions on using lands designated to aristocrats, and new bureaucracies to answer to. In short, this wasn’t exactly the freedom of the open road. This was swapping an old set of onerous legal encumbrances for a new set. Sort of tsarist Russia’s 40 acres and a mule moment. The Bezdna unrest started when a charismatic local peasant named Anton Petrov started convincing his neighbors that the the local officials interpreting the new reforms were lying, and that volya, a true open-ended liberty, had been proclaimed. One should bear in mind here that most serfs were illiterate, and both depended upon and distrusted the legal interpretations bandied about by literate country squires who also happened to be directly interested parties in the law they were announcing. Russia had some issues. Some form of this grumbling must have been common throughout the Empire, but in Bezdna it became even more serious than that. Transported by Petrov’s “perverse interpretation” of the law, emancipated serfs refused to fulfill their alleged obligations to nobles or recognize the legal authorities who were those nobles’ handmaidens. 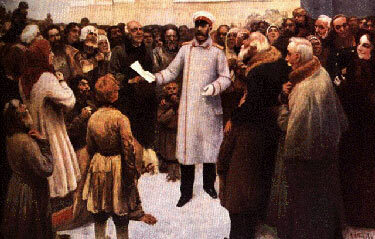 Klavdy Lebedev‘s painting of Alexander II personally announcing emancipation to serfs. Maybe it’s a good thing he didn’t actually do that. This experience of volya was as short-lived as it was intoxicating. Within days, troops arrived to “emancipate” the peasantry properly. the people kept replying the same thing: “We will not surrender him, we are united for the tsar, you will be shooting at the Sovereign Alexander Nikolaevich himself.” The soldiers, drawn up in ranks, made five or six volleys; they shot the first few without aiming, so that at a distance of 300 paces [only] three or four men fell, but then they became outraged by the peasants’ stubbornness, and hit with every shot on the fourth volley. The poor people stood motionless like a wall and continued to shout, “We will not yield, it is the tsar’s blood that is flowing, you are shooting at the tsar.” After the last volley they wavered and fled, and then Anton Petrov appeared, holing the [Emancipation] Statute on his forehead, and was arrested. It must have been a riveting spectacle, to see this peaceable and resolute mass of humans fired by the promise of freedom, absorbing volley after volley from their savior tsar’s own foot soldiers. Well over 50 civilians died. These people, at least, did not endure the last volley of a judicial massacre. Petrov only was punished, lashed to a telegraph pole and shot in public. 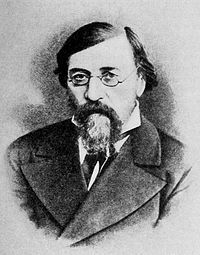 Publishing from exile in England, Russia socialist Alexander Herzen lamented the martyred serfs’ suicidal adherence to that venerable myth of the good tsar. If only my words could reach you, toiler and sufferer of the land of Russia!… How well I would teach you to despise your spiritual shepherds, placed over you by the St. Petersburg Synod and a German tsar…. You hate the landlord, you hate the official, you fear them, and rightly so; but you still believe in the tsar and the bishop … do not believe them. The tsar is with them, and they are his men. It is him you now see — you, the father of a youth murdered in Bezdna, and you, the son of a father murdered in Penza…. Your shepherds are as ignorant as you, and as poor…. 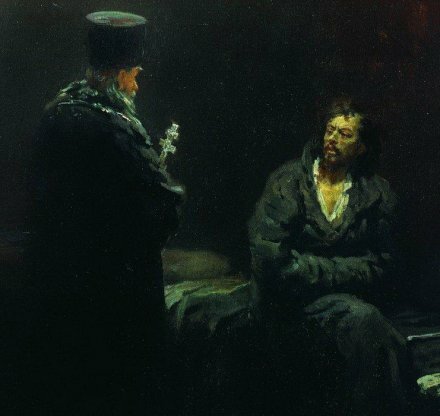 Such was another Anthony (not Bishop Anthony, but Anton of Bezdna) who suffered for you in Kazan…. The dead bodies of your martyrs will not perform forty-eight miracles, and praying to them will not cure a tooth ache; but their living memory may produce one miracle — your emancipation. * The officer sent to suppress the revolt reported that “the military court passed sentence on April 17, I confirmed it the same day, and it was carried out on the 19th” — referring to the Julian dates, which correspond to April 29 and May 1, respectively. However, this is quoted by Field, who believes that officer is himself mistaken about the 19th; since I don’t have access to the primary documents which lead him to that conclusion, and all the secondary sourcing on the execution date is pretty squishy, I’m just going with the self-reported April 19/May 1 date. ** Serfs who hadn’t been working in agriculture were pretty well hosed: they got emancipation without the land. If you were a person of any privilege or official authority in late 19th century Russia, chances are that Narodnaya Volya was planning to take a shot at you. And if you were that errant assassin, Ippolit Mlodetsky, this was your execution date. Even though Melikov rated as something of a liberal on the Russian autocracy spectrum, he had no qualms about ordering legal proceedings barely this side of summary. Gen. Melikoff, on Wednesday evening, ordered a court-martial to assemble on Thursday morning. The trial of the prisoner was opened at 11 o’clock in the morning. The prisoner was insolent in his language and demeanor, and refused to stand up or take any part in the proceedings. He said he had nothing to add … that he did not want to be troubled any more, and wanted the matter finished. … at 1 o’clock … judgment was pronounced against him. 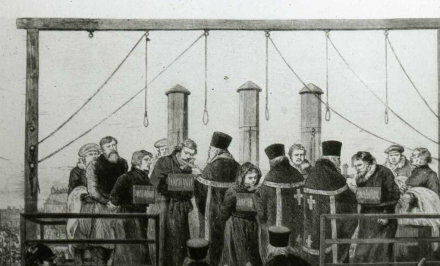 The judgment on the prisoner sentenced him to be hanged, and his execution was appointed for 10 o’clock this (Friday) morning on the Simeonofsky Plain, near the Tsarskoe-selo Railway terminus. Mlodetsky’s public hanging was witnessed by novelist Fyodor Dostoyevsky in the very square where Dostoyevsky himself had faced mock-execution for revolutionary activity 30 years before. Dostoyevsky was, even then, pulling together his magnum opus, The Brothers Karamazov. The very day Mlodetsky tried to kill Melikov found Fyodor Mikhailovich chatting with fellow reactionary journalist Aleksey Suvorin about the plague of terrorism and its accompanying social malaise. On the day of the attempt by Mlodetsky on Loris Melikov I was with F. M. Dostoyevsky. he was going to write a novel with Alyosha Karamazov as the hero. He planned to bring him out of the monastery and make a revolutionary of him. He would commit a political crime. He would be executed. Melikov’s brush with death did not dissuade him from continuing to push for constitutional reforms as the antidote to terrorism, including introduction of a parliament. Tsar Alexander II was on the point of implementing that proposal … when he himself was assassinated by Narodnaya Volya, precipitating a political backlash. That murder of Alexander II helped put the kibosh on the Karamazov sequel, which would thereafter have become politically problematic. Nor was that the only artistic casualty of the Russian terrorists. * The assassination attempt occurred on February 20, with the execution on February 22, according to the Julian calendar still in use in Russia at that time. By the then-12-days-later Gregorian calendar, the dates were March 3 and March 5, respectively. 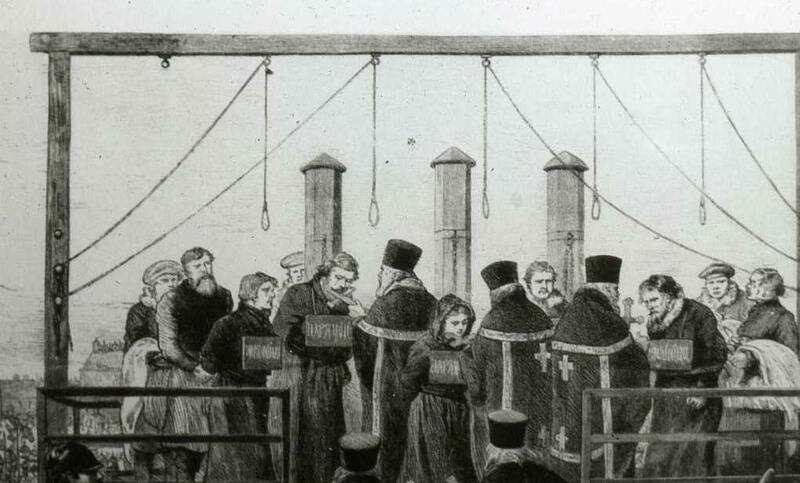 On this date* in 1881, five members of the Russian terrorist organization Narodnaya Volya were publicly hanged in St. Petersburg, where they had slain the tsar Alexander II a few weeks before. “The People’s Will” etched in blood its place in the dangerous late 19th century ferment of Russian revolutionaries. In time they would read as the politically immature forerunners of the Bolsheviks, whose turn into terrorism was a political dead end. But as of this date, they were at the top of their arc. 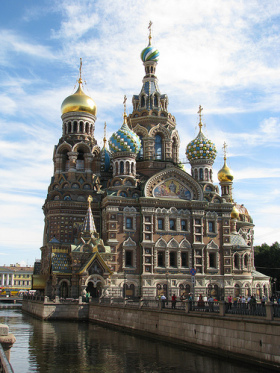 Every St. Petersburg tourist sees the place Alexander II died: the spot received a picturesque church that is now one of the city’s principal attractions. On March 13, 1881, Narodnaya Volya assassinated the former tsar with a suicide bombing on the streets of St. Petersburg. 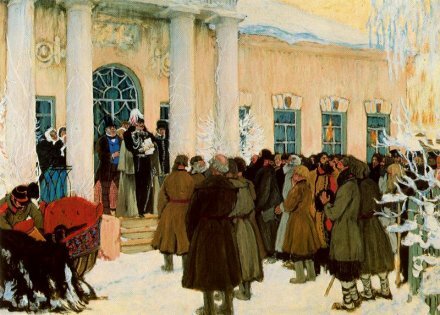 With the death of the monarch who had emancipated the serfs, and was on the very day of his murder tinkering with plans to introduce an Assembly, liberalism arguably lost its weak purchase on Russia’s future. The Nihilists** — who immediately sent an open letter to the new tsar demanding amnesty and a representative political body† — did not prevail in any direct sense. Their dramatic gesture failed to ignite a social revolution or topple the autocracy, and they would find in Alexander III an implacable foe. But while this spelled the end for the old man’s five assassins,‡ and even the end of Narodnaya Volya as an effective organization as the 1880’s unfolded, Alexander III’s efficacious repression was a Pyrrhic victory for the Romanov dynasty. By depending on police operations rather than political reforms, Alexander III bequeathed his doomed successor a hopelessly backward political structure … and a considerably more dangerous revolutionary foe. * April 15 was the date on the Gregorian calendar; per the Julian calendar still in use in Russia at the time, the date was April 3. ** A quick summary of the strains of Russian revolutionary thought of the time here. ‡ Andrei Zhelyabov, Sophia Perovskaya, Nikolai Kibalchich, Nikolai Rysakov and — though he had backed out of the plot — Timofei Mikhailov, whose noose broke twice in the attempt to hang him. A sixth condemned assassin, Gesya Gelfman, escaped hanging due to pregnancy … but she and her child both died shortly after the birth. Perovskaya gets adulatory treatment in this 1910 New York Times retrospective (pdf) on Russian political violence and repression.